Adam Filthaut started a glass-replacement company and began filing assignment-of-benefits lawsuits almost immediately, both before and after his disbarment. In the months Adam Filthaut spent delaying his disbarment for setting up a rival attorney on a DUI charge years earlier, the disgraced lawyer was also busy setting up his next controversial career. Filthaut started a glass-replacement company and began filing assignment-of-benefits lawsuits almost immediately, including both before and after his disbarment. Filthaut’s company, Glassmetics, filed nearly 600 small claims lawsuits against insurance companies between May 2016 and October 2017 – an average of more than seven per week. However, Filthaut wasn’t the attorney-of-record on the suits, so it did not violate the orders of his August 2016 disbarment, ordered by the Florida Supreme Court. 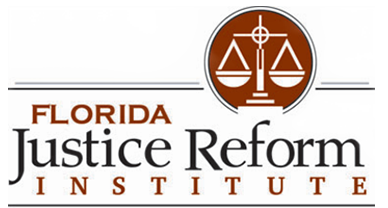 Assignment-of-benefit lawsuits have exploded in Florida in recent years, with glass-related suits alone soaring 3,000 percent between 2011 and 2016, according to the Florida Justice Reform Institute. Florida is one of only three states that guarantees policyholders free replacements for damaged windshields, with no deductible, as long as they have comprehensive insurance coverage. But when consumers sign their assignment-of-benefits over to glass vendors, the vendors can charge whatever they want for the repairs. If the insurance company disagrees with the billing, the glass company will often sue for the difference. Even when those billing differences are less than $100, the suits are often settled with the insurance company paying thousands of dollars in attorneys’ fees, making the legal side of the transaction much more lucrative than the glass side of it. When asked why he got into the business, Filthaut told 10Investigates, “I think its obvious.” But he refused to elaborate and deferred all further questions to his attorney, Anthony Prieto, who is well-versed in suing insurance companies over glass disputes. However, state leaders and the insurance industry alike have accused attorneys like Prieto of abusing a consumer protection and causing rate hikes for all Floridians. Prieto said Glassmetics was a natural fit for Filthaut since he sued insurance companies when he was practicing law at Adams and Diaco. Filthaut was one of three attorneys from the firm disbarred in 2016 – along with Robert Adams and Stephen Diaco – when the attorneys schemed to set up the opposing attorney in their Bubba the Love Sponge v. “MJ” Schnitt shock jock trial on a DUI. Melissa Personius, a paralegal for the firm, encouraged the opposing attorney to drink, then drive home after she found him at a Tampa bar. Personius was one of the first employees Filthaut later hired at Glassmetics. According to LinkedIn, she worked as a “business development manager,” but Prieto said she no longer works for the company. Prieto said he did not know whom his client sold the company to, but he would continue to represent Glassmetics in court.